"Great confidence in future growth"
Vadodara/India – Roechling Engineering Plastics (India) Pvt. Ltd. has inaugurated its second plant in Vadodara, India. 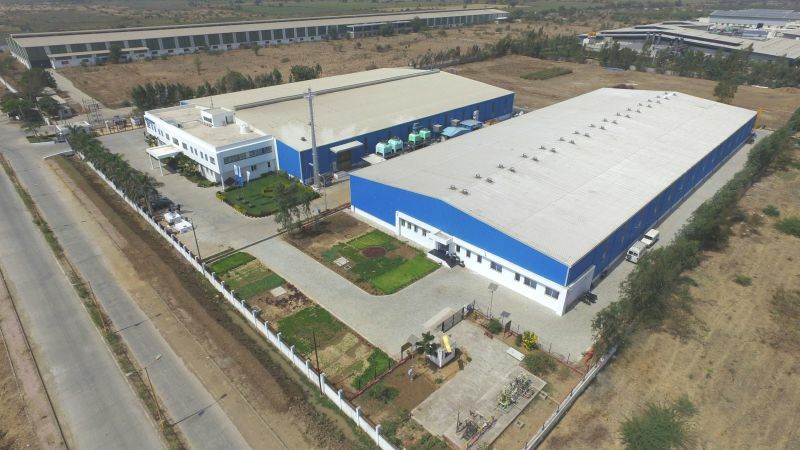 The new plant and equipment bring Roechling India’s production and warehouse space to a leadership position in the highly competitive Indian plastics market. With an investment of around 2.5 million euros (200 million Rupees), the international Röchling Group strengthens the site in Vadodara and trusts in the future development of its Indian operations. In the presence of important business partners, Franz Lübbers, Member of the Management Board and CEO Röchling Industrial, cut the ribbon together with Manoj Kumar, Managing Director Roechling Engineering Plastics (India) Pvt. Ltd., inaugurating the new facility. They ceremoniously opened the new building together with Dr. Joachim Brunswicker, Member of the Management Board and CFO Röchling Industrial and Medical, Dr. Jürgen Morhard, Consul General of the Federal Republic of Germany, and Mr. Bernhard Steinrücke, Director General of the Indo-German Chamber of Commerce. Franz Lübbers said in his speech: "The expansion is a commitment to the long-term engagement of Röchling for the Indian market. We have great confidence in future growth. My big thanks goes to Manoj Kumar and his team for their dedication and strong development in recent years." Bernhard Steinrücke observed the leaps and strides taken by the company in the 5 years since the first factory was inaugurated in 2014. He mentioned that Vadodara was fast growing as an important hub of German companies in India. In the new building Röchling’s latest extrusion line works 24 hours a day, 7 days a week, manufacturing the parent company’s globally popular product Polystone® P (Polypropylene), in sheets form with a width of up to 2,500 mm and in lengths and thicknesses desired by the customer. The new calendaring lines provide exceptionally high dimensional tolerances and smooth surfaces typically required for equipment building in the chemical processing industry – for example, chemical tank and plant construction, water treatment, steel pickling and galvanising plants, as well as laboratory equipment. Röchling made the first step into the Indian market in 1998 with the establishment of a sales office in Mumbai. In 2007, Röchling set up a state-of-the-art CNC machining center in Vasai supplying tailor-made composite components, and engineering plastics components for various industries. 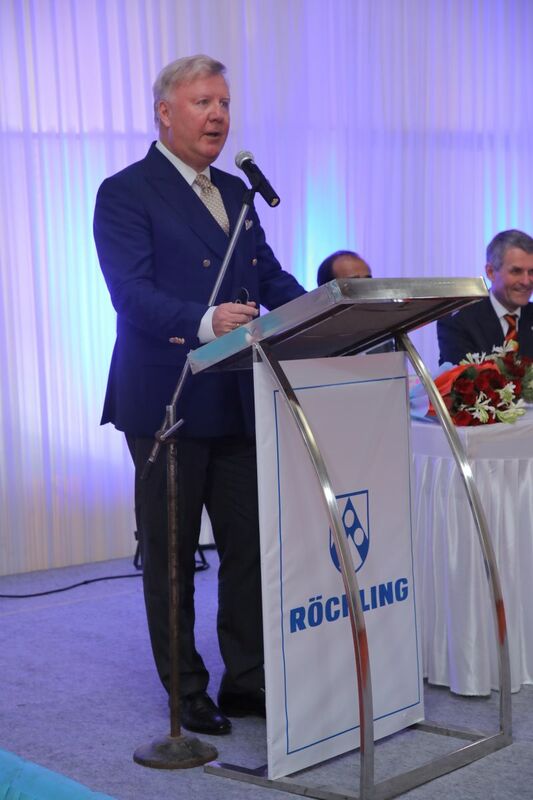 In 2014, Röchling set up its first production plant in India for thermoplastics, in the Gujarat Industrial Development Corporation (GIDC) in Manjusar, Savli Vadodara, manufacturing the Polystone® M (PE-UHMW), SUSTARIN C (POM - Polyacetal) sheets, rods and profiles for different industrial sectors. The products of Roechling Engineering Plastics (India) Pvt. Ltd. are used in numerous industries, such as chemical tank and plant construction, power generation and transmission, mechanical engineering, bulk material handling, renewable energy, water treatment, orthopaedics and laboratory equipment. Contributing to the company’s success story is a committed team of more than 100 employees located at the production sites in Vadodara and Vasai and in the sales locations in cities across India including Mumbai, New Delhi, Bengaluru, and Chennai. A Technical Services team regularly conducts training programs across industrial locations imparting application training and design upgradation skills to customers, consultants, and designers. Being part of the international Röchling Group, Roechling India is committed to protection of the environment and as a socially responsible organisation meeting the local Environment and Pollution Control laws. Corporate Social Responsibility activities include generating employment and skill development in the community. The company has been contributing annually to the Prime Minister’s Emergency Relief Fund, a fund raised in India to provide support for people affected by natural disasters. With these good perspectives and the appreciation and demand for quality products in the Indian industry, Franz Lübbers announced in his speech that it is already planned to invest yet another 5 million euros into further product lines and capacity expansion in India in the near future. Investment strengthens site: Roechling Engineering Plastics (India) Pvt. Ltd. has inaugurated its second plant in Vadodara, India. 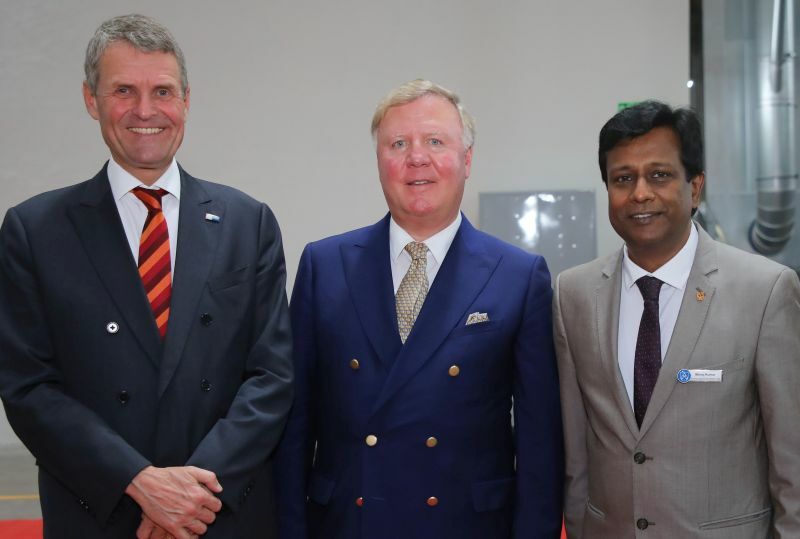 From left: Bernhard Steinrücke, Director General of the Indo-German Chamber of Commerce, Franz Lübbers, Member of the Management Board and CEO Röchling Industrial, Manoj Kumar, Managing Director Roechling Engineering Plastics (India) Pvt. Ltd.